This is a sponsored post written by me on behalf of Bonne Maman. All opinions are my own. Well, I think that spring has finally sprung in northwestern Indiana. There are tiny green buds on the trees and birds in all shapes and sizes are raising a ruckus outside of windows that have thrown open to air out a house desperately trying to shake off winter. Along with signs of rebirth and revitalization comes the time we celebrate and honor the women who (sometimes) birth, nurture, and raise us—otherwise known as mom! As a kid, I loved scavenging the neighborhood for a flower (or 20) to present to mom on Mother's Day. 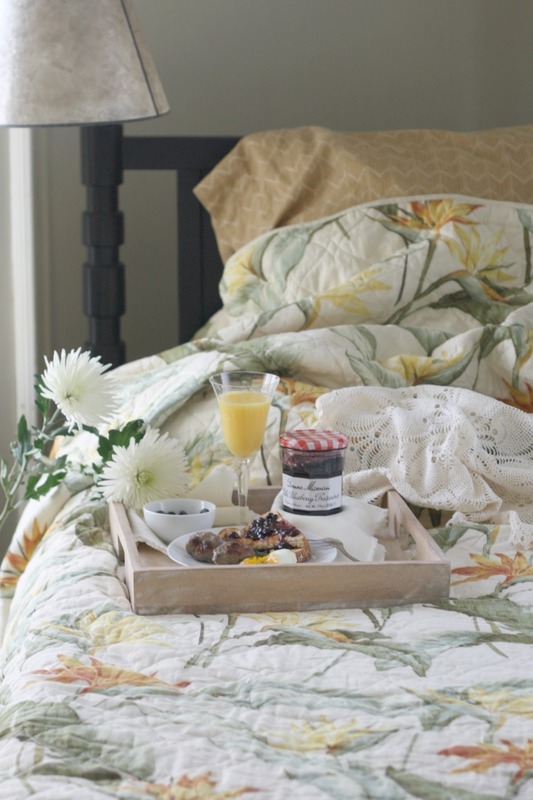 And while I would have gladly whipped up a glorious bowl of cereal or a plate of toast spread with some of my grandma's homemade jelly to bring her breakfast in bed, she always seemed to be awake before me. But serving her at the kitchen table was still a fun task. Now, as a mom myself, I know the joy of receiving handmade cards, carefully thought-out poems, macaroni necklaces, clay spoon rests, and a bouquet of wild violets, daffodils, with the occasional (and possibly pilfered) tulip. 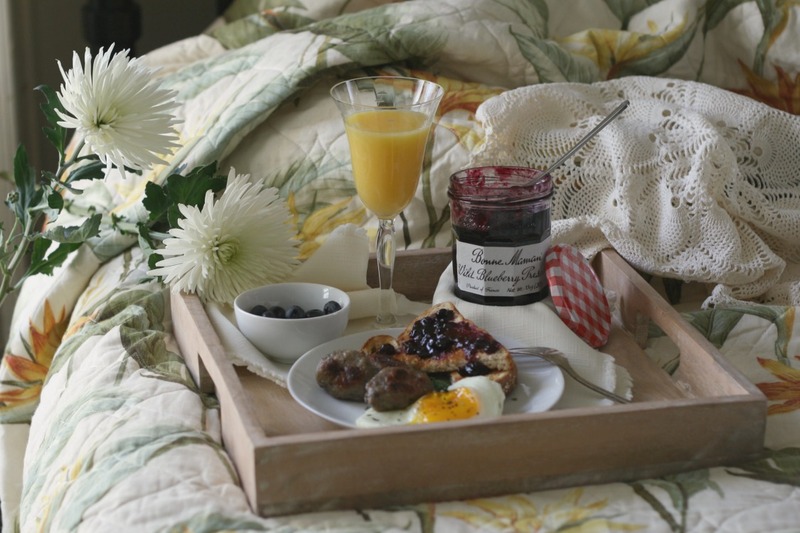 As my kids have gotten older, my special breakfast has evolved from toaster waffles and a syrup to eggs and bacon or sausage with toast and a jar of my favorite homemade (or so-close-it-passes-for-homemade jar of Bonne Maman) preserves or jelly. Nothing says it like homemade! Speaking of my favorite brand of store bought preserves, did you know that Bonne Maman translates to "grandmother" or "granny"? 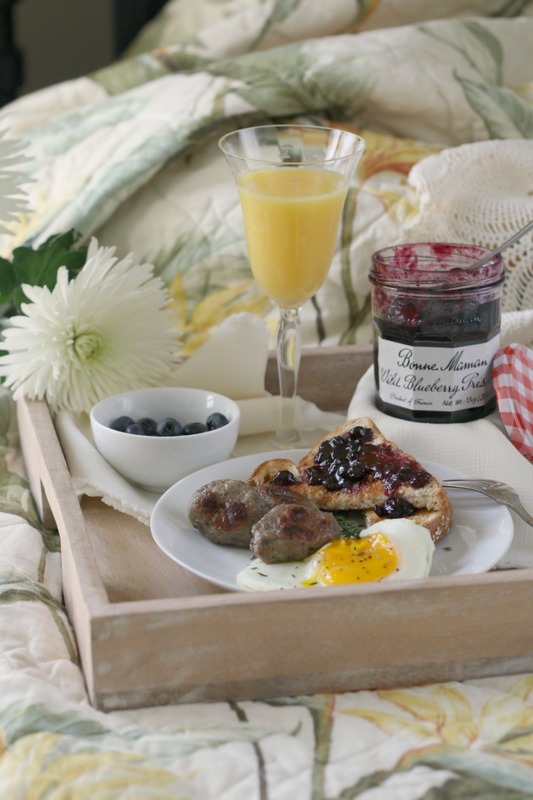 Just like my own grandma's homemade jelly that I grew up on, Bonne Maman's jellies and spread are made using simple, wholesome ingredients that can be found in anyone’s pantry (no weird additives or high fructose corn syrup). Plus, they still use the same traditional French recipes they've used since the start. The best part is that they taste just like homemade, and when I see them at the market, it always pulls me right back to browsing the rainbow of jars lined up on my grandma's pantry shelves. I'd say the hardest part would be choosing your favorite variety! 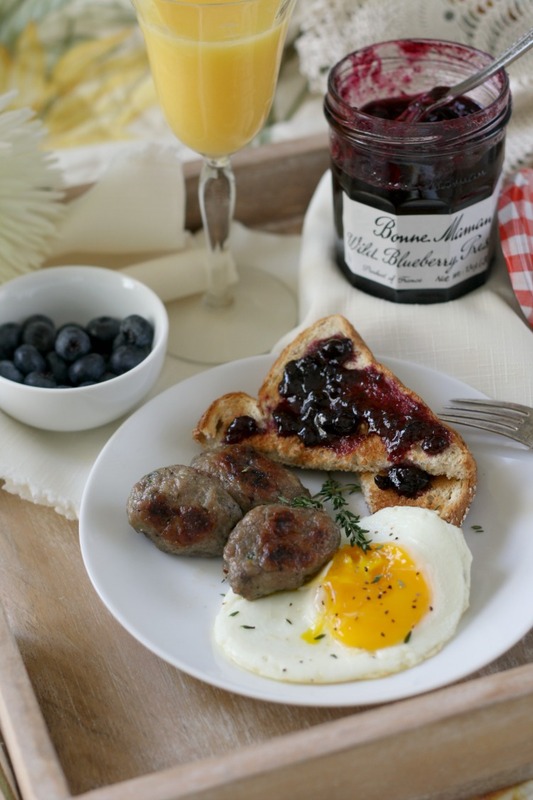 Today I'm featuring Bonne Maman's Wild Blueberry Preserves in a bit of an unexpected way—as an ingredient in a homemade sausage recipe that will surely delight mom this Mother's Day! If you're looking for a way to show your mom (or a mom in your life) your appreciation, why not say it with homemade? 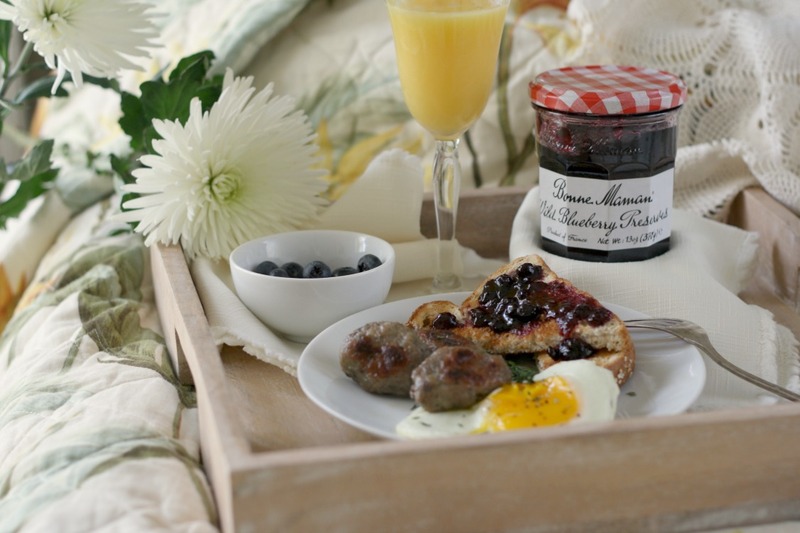 Want to know more about Bonne Maman Jellies and Preserves? Check out the Bonne Maman website or connect with them via Instagram or Pinterest. You also won't want to miss the amazing sweepstakes (grand prize value $1270) that they have going on right now - you can click the photo below to learn all about it and enter for your chance to win fabulous prizes! 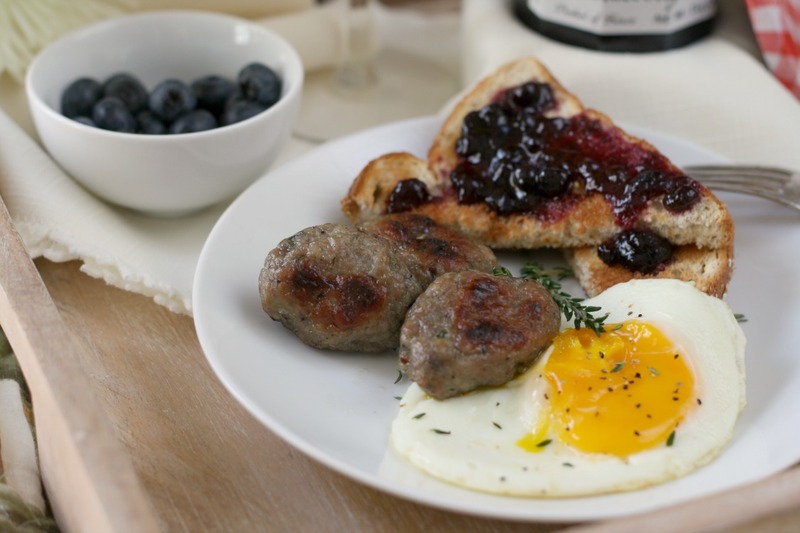 Make Mother's Day breakfast special by serving up homemade breakfast sausage infused with the flavors of wild blueberry and fresh thyme. Perfect alongside pancakes, waffles, or eggs and toast. Combine all of the ingredients in a large bowl and use your hands (or a mixer with a paddle attachment) to mix everything until just combined. Using wet hands (this makes it easier), form the sausage mixture into 24 "links" or patties. Line them up on the prepared baking sheet (if your sheet is too small, use two), leaving about an inch between each sausage. This sausage doesn't adapt well to cooking in a skillet due to the addition of preserves, which contains sugar that makes the outside burn quickly. Individual sausage portions can be formed, lined up on the prepared baking sheet, then covered and refrigerated overnight. Remove from refrigerator for at least 15 minutes before cooking.